If recent times are anything to go by, being in a successful band is looking to be more difficult than ever. The British rock scene has seen far too many casualties of late – the breakups of numerous old reliables and rising stars alike (Funeral For A Friend, The Blackout, Blitz Kids, We Are The Ocean, the list goes on) have been heartbreaking to watch unfold. And last year, issues both personal and band-oriented made obituaries look likely to be on the cards for Deaf Havana. Thankfully, a need for those to be published never came to fruition and the quintet are back with the album that has reignited their passion for what they do. The therapeutic purpose this album has served for Deaf Havana is definitely not subtext or something to be searched for in liner notes. While searing honesty has always been a staple throughout their discography, something feels different this time. You can practically feel the catharsis of singer James Veck-Gilodi coursing through All These Countless Nights thanks to the lyrics (“I’ve grown to hate myself some days from lying through my teeth, never meaning what I say” from Pretty Low is telling), but it’s ballad Happiness in particular where it all comes to a head. Picking apart how his anxiety affects both himself and the people closest to him, it’s relatable and devastating in a way only Deaf Havana can be. In a more general sense, that distinctly Deaf Havana sound is very much reflected on this album. This time, though, there seems to be a quality that’s more Radio 1 than Kerrang! Radio. Any of this new crop of DH-trademarked soaring anthems like opener Ashes, Ashes, gutting St Paul’s and beautifully optimistic-sounding Sing (all of which could rival fan favourites from previous releases Fools And Worthless Liars and Old Souls) could extend the reach far and beyond what they already have. Best of all, though, there’s no feeling at all that the overall feel of the record needs any kind of development or amending – it’s clearly been an epiphany for Deaf Havana. This is a product of their want to make music they love which just so happens to be some of the best material of their career so far. And with You Me At Six’s new stadiums-or-nothing ethos and Twin Atlantic going all rock ‘n’ roll, it’s a beautiful throwback to how untampered British rock should be done. Of course, there’s the general pitfalls of some more forgettable tracks (although it hints at future maturity, Fever’s middling pace and monotone chorus keeps it far from Sing’s league), but overall, All These Countless Nights is a more than welcome reminder of the Deaf Havana so many know and love, and it hammers home the talent that would’ve been wasted if they had bowed out last year. This is precisely the album Deaf Havana needed, and it’s so good to have them back. 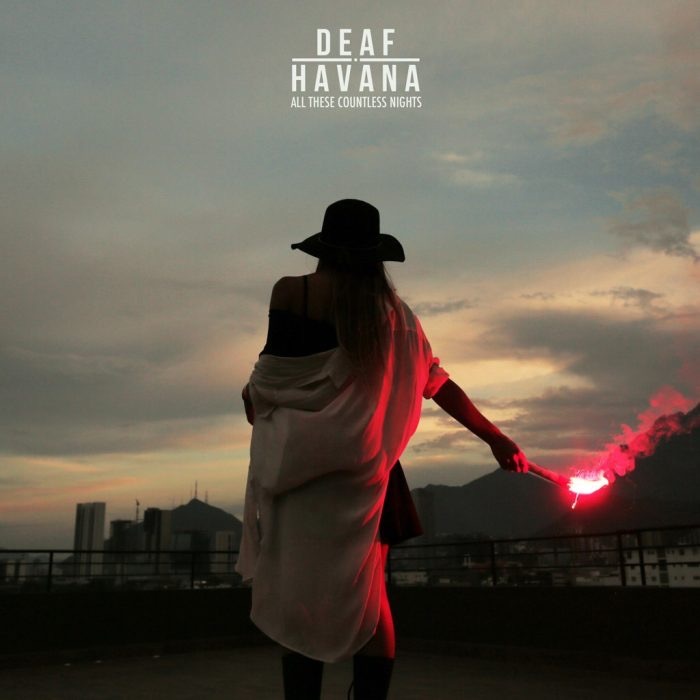 ‘All These Countless Nights’ by Deaf Havana is out now on SO Recordings.